We have puppies for sale at Aislinge Bray Terriers from ancient Irish lines of Black and Tan Jack Russell Terriers. Call Lori at: 607-746-2655 or send an email: BlackAndTanJacks@yahoo.com or text me at 607-437-5380 with any questions. If you're ready to submit your information and be contacted to discuss the possibility of an Aislinge Bray puppy please kindly fill out Reservation Request For and submit. Breeding pure Irish Black and Tan Jack Russell Terriers from old established lines imported from Ireland. Our Jacks are calmer and less aggressive than many other small breeds. Black and Tans are not barkers, NOT the so called "yappie" little dogs. They bark at appropriate time and then settle down. They're little shadows sticking close even when outside and do not tend to running off. Our puppies are superb companions with loving personalities and are suitable for most all ages and lifestyles. We strive to improve our line of dogs with each generation. Breeding for wonderful temperaments, genetic health and good structure. Irish Black and Tan Jacks are a rare breed of dog. Aislinge Bray's puppies receive early neurological stimulation in the Super Dog program, Early Puppy Imprinting socialization, sound socialization, experience grooming and nail trimming. What do you get? Our puppies will have a microchip, be vet checked and have their first distemper complex vaccine. They come with important information on feeding, health, socialization and training advice. Our goal is to help you reach your goal by giving you some helpful tools that will make the you time you spend raising your puppy as successful as possible and your experience wonderful and rewarding. The end result being a loving, well trained, fun to be with companion. Our Black and Tan Jack Russell Terrier puppies are looking for loving, 'forever' homes and if you can provide such a home contact us. You are welcome to visit in order to pick up your puppy or your puppy may be flown to a major airport near you. Are you looking for a great companion without going through the puppy stage? Occasionally we have adult dogs available for adoption who are looking for a forever homes. Interested? Visit our available ADULT dogs. 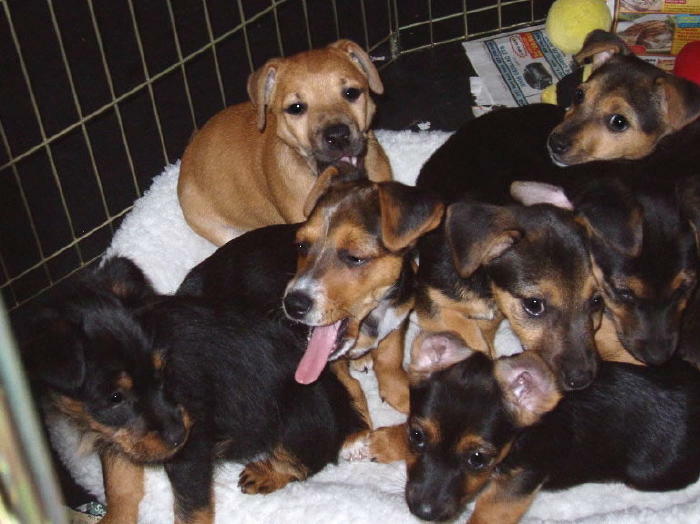 When you take an Aislinge Bray Terrier Black and Tan Jack Russell Terrier puppies home, know you are getting a healthy, sane, companion pet with great qualities and wonderful personality traits. 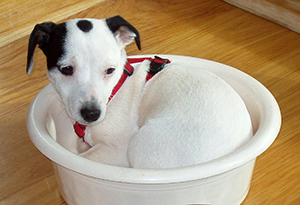 You may be curious about the different names and terms the Jack Russell Terriers are known by. We are a breeder of dogs that are sometimes called Black and Tan Irish Terrier, Shorties, Puddin Jacks, Shorty or Short Legged Jacks, Jack Russell Terrier Puppies, Irish Jack Russell Terrier Puppies, English Jack Russell Terrier Puppies, Russell Terrier Puppies, Jack Russell Terrier, Hunt Terriers and Euro Russells. Dedicated to our Lily Pily. Lily Pily is the story about how Aislinge Bray Terrier's breeding program began.